Phoenix Dactylifera is a palm in the genus Phoenix, cultivated for its edible sweet fruit grown and cultivated. Although its place of origin is unknown because of long cultivation, it probably originated from lands around middle east. We also offer block Sayer pitted Dates as in 200 gr Block Dates or 500 gr Block Dates. 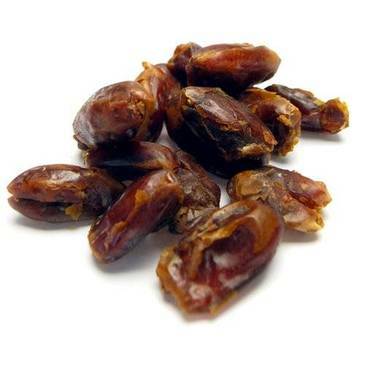 This product is also known as Sair dates or Estameran dates. Dates are available in two quality classes: Grade AAA or RTU* Grade. *Ready To Use - Produced in BRC, IFS, HACCP, ISO Approved plant utilizing advanced automated production and sorting technology.